The Eclipse Foundation has announced Eclipse Oxygen is now available. The Oxygen release includes 83 projects, 287 committers, and about 71 million lines of code. 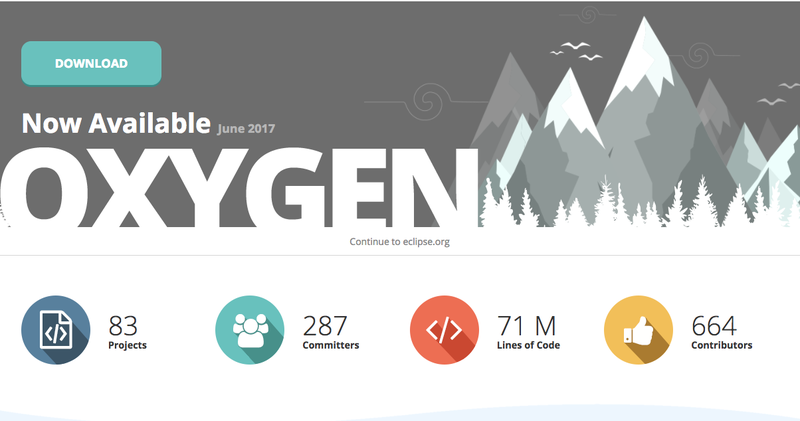 “We’re proud to announce the arrival of Eclipse Oxygen, the 12th annual simultaneous release from the Eclipse Community,” the foundation wrote. Most notably missing from this release is support for Java 9. According to the foundation, since Java 9 has not been released yet, it will not be supported in the standard download package yet, but users can add an early access preview. Other features include a new extensible generic text editor, Java development tool improvements and C/C++ development tool enhancements. Google is launching a preview of their IoT console. The Android Things Console will provide developers a place to manage their Android Things IoT device software. The console features product creation and product settings, factory images, and OTA updates. As a way to tackle some of the complexities of container technology, AppDynamics announced updates to Microservices iQ, Integrated Docker Monitoring. With Microservices iQ, teams can drill down into baseline metrics, review container metrics, and review underlying host server metrics all within the context of Business Transactions and “single pane of glass,” according to the company. 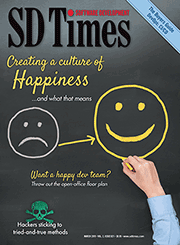 A big feature in this release is heat maps, which are visual representations of complex and multidimensional data. Heat maps can abstract complexity of huge amounts of data to visualize data patterns and then pinpoint containers for performance anomalies and outliers. Compuware announced the integration of Topaz for Total Test, a fully automated unit testing tool for COBOL, with Jenkins, SonarQube, and Compuware ISPW. This tool automates the capture and execution of COBOL unit tests, so developers can work on mainframe systems without exposing them to risks. Enhancements enable COBOL unit testing to be automatically triggered as part of a DevOps toolchain, it ensures quality trends are visible through the development process, and it couples test cases with source code to enable the sharing of test assets. Sonatype announced it has acquired Vor Security, which is home of the OSS Index — an online index of known open source software vulnerabilities. The company also announced that Nexus Lifecycle XC, a new data service delivered via the Nexus IQ server, is available. According to Sonatype, Vor Security will let the company increase its ecosystem and the OSS Index will give Sonatype a platform to cover the area of open-source security research. The Nexus Lifecycle XC will provide organizations with component intelligence covering open-source ecosystems and formats like Ruby, PHP, Swift, CocoaPods, Golang, C, and C++. In addition, the company says it is delivering an intelligence engine that combines the depth of Lifecycle data for machine automated open-source controls with Lifecycle XC data for foundational open-source governance.